IT is hard to find healthy ice-cream without preservatives and unwanted nasties. So, I make my own with coconut milk. 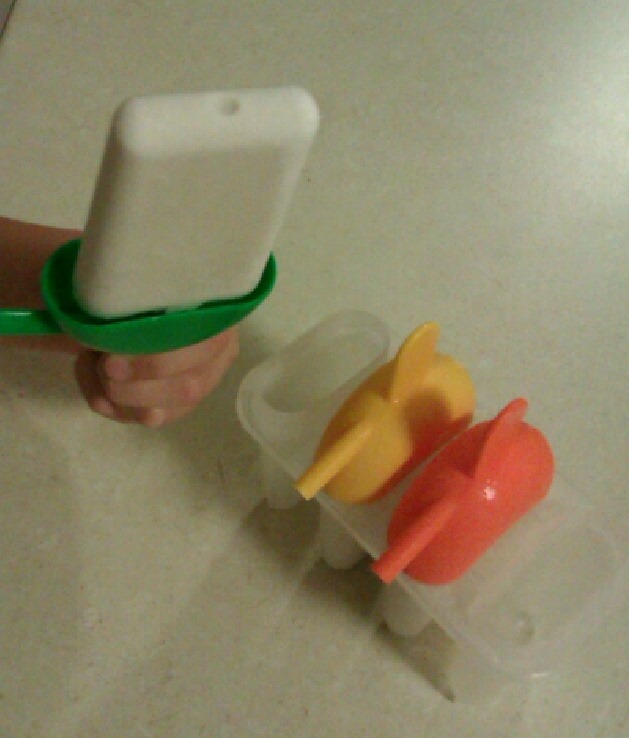 However, I do not have an ice-cream maker so at first I had a large frozen spaceship!!! Now, I have a breakthrough and I am using my ice block makers! If you don’t have any – you can buy these at any bargain shop. My chiropractor initially told me about this idea and said to mix coconut milk or coconut cream with any fresh fruit and freeze. She said you could add maple syrup too. I don’t think it needs anything other than fruit though. I just added tin pineapple (in juice) in one batch and berries in another. A hint – the berries can be overpowering so I just put a few tiny bits in the ice-cream sticks I made. My daughter really enjoyed the pineapple ones. Coconuts are seen by some as a miracle food, helping protect the body’s immune system. Look in the ingredients on the coconut tin and make sure it is just 100 per cent coconut milk. Coconut milk is so good for us as it contains many vitamins, minerals and electrolytes, including potassium, calcium and chloride. The saturated fat in coconut is made up of short-chain and medium-chain fatty acids the body quickly turns into energy instead of storing as fat. Enjoy!